The GDR’s secret service (Stasi) is being dissolved. Protestors storm its headquarters in East Berlin. For decades the Stasi spied on its own citizens and hounded political opponents. Its staff included numerous full-time spies as well as so-called “unofficial collaborators”. After the Wall fell, the GDR government initially had no plans to dissolve the Stasi. It is largely thanks to the Central Round Table and the citizens’ committees that the Stasi (which by then had been renamed the Office for National Security) was eventually abolished. Carlo Jordan represented the Greens at the Round Table. 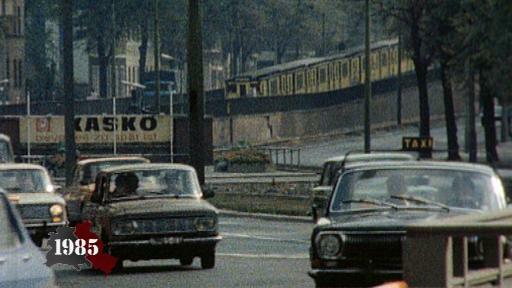 East Berlin in the early summer of nineteen sixty-eight. Alexanderplatz is a huge building site: socialism is getting a makeover and the GDR capital is set to become a modern showcase of the Republic. 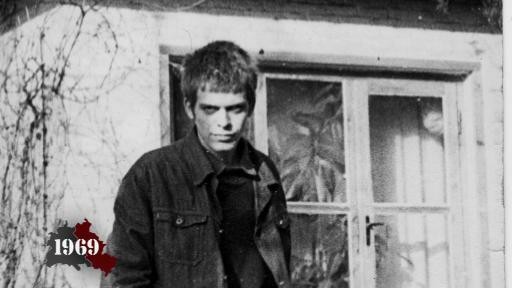 In June 1968 18-year-old Toni Krahl, who will later front the rock band City, travels to Prague and is impressed by what he finds there: "socialism with a human face". 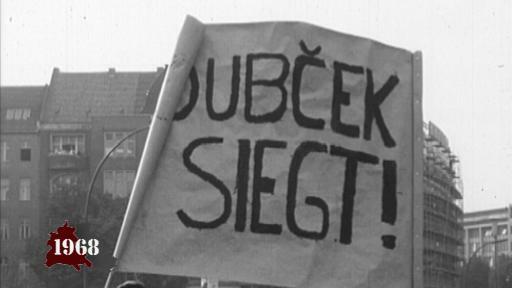 However, on 21 August 1968 half a million soldiers from the Warsaw Pact countries invade the CSSR, crushing the Prague Spring. The authorities in East Berlin welcome the intervention and convict 1,200 people who take to the streets in protest, including Toni Krahl. The GDR is preparing for its 20th birthday. Alexanderplatz is being redeveloped and the new centre is gradually taking shape. Everything must be finished in time for grand celebrations in October. Not all young GDR citizens are in the mood for celebrating. Florian Havemann, the son of dissident Robert Havemann, has just been released from prison, where he was sent for his involvement in protests against the invasion in Prague. Florian Havemann is among a group of dissidents who are fighting for "socialism with a human face". Many East Berliners have submitted applications to leave the GDR, but no one knows when or if they will be granted. Most people have to wait a long time before they find out. Author Bernd Wagner is among those who want to get out. When his application is finally approved, he leaves Prenzlauer Berg and settles in Kreuzberg in West Berlin. Greenpeace activists stage a protest outside the GDR’s environment ministry. 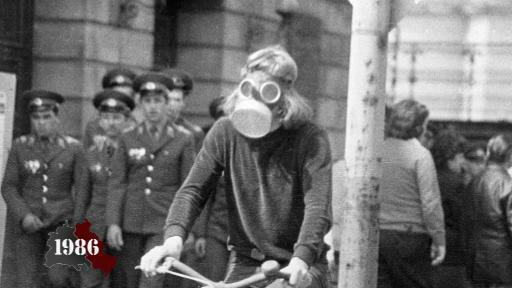 They are trying to raise awareness of how East Germany is damaging the environment. Christian Halbrock was part of the group. In this film he talks about how he and his friends also wanted to bring about political reforms. They have the idea to set up an environmental library, which opens in the parish hall of the Zion Church in East Berlin. Filled with books and information smuggled in from the West, the library becomes a focal point of East Berlin’s opposition movement. 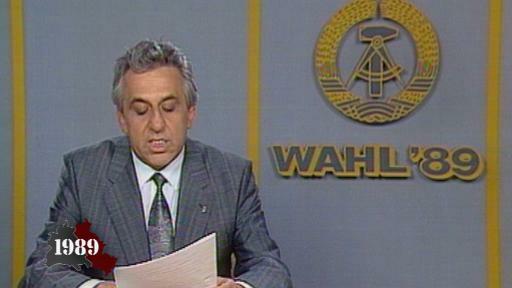 The GDR holds local elections in May 1989. A group of young civil rights activists monitor the vote counting. When the official figures show that 98.85 percent of the population voted for the candidates put forward by the SED, the activists accuse the party of ballot rigging. As a member of the peace group in Weisensee that organised the monitoring, Mario Schatta experienced the events first hand. 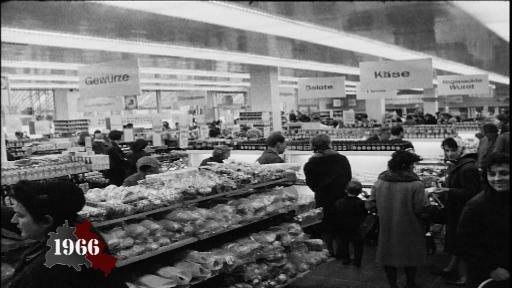 In April 1966, the GDR's most modern shopping centre opens in the East Berlin district of Lichtenberg. Manfred Lauchardt recalls how the GDR's popular WM66 washing machine was not only used in East German households, but also came in handy on Berlin's Alexanderplatz to keep sausages warm. A church in East Berlin starts holding what will become known as Blues Masses. The events attract those who are unhappy with the regime. Dirk Moldt, an 18-year-old watchmaker’s apprentice, is among them. The young people who gather here feel protected by the church and safe from the repression of the state. Father Rainer Eppelmann and Robert Havemann, a staunch critic of the government, publish their "Berlin Appeal", in which they call for disarmament and freedom of speech. 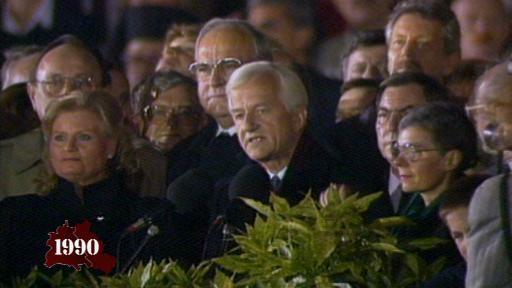 Mid-January sees the GDR’s leaders gather for the annual Luxemburg-Liebknecht demonstration. The politicians visit Friedrichsfelde in East Berlin, where they pay their respects at the memorial to labour leaders Rosa Luxemburg and Karl Liebknecht. While this is going on, the voices of those who oppose the regime are getting louder. People take to the streets and unfurl banners bearing quotes by Rosa Luxemburg. Over 100 protestors are arrested, among them Stephan Krawczyk, Bärbel Bohley, Wolfgang Templin, Vera Wollenberger and Freya Klier. 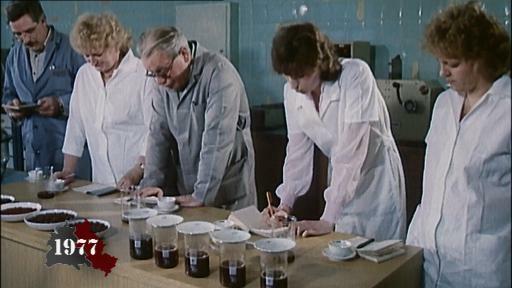 In an effort to save Western currency, the GDR creates a new brand of coffee. Kaffee-MIX is ground coffee combined with roasted peas, rye, barley and sugar beet. It quickly earns itself a nickname: Instant Erich. Peter Pragal, then a correspondent for the Süddeutsche Zeitung newspaper, was living in East Berlin with his family at the time of the coffee crisis. Each time Ursula Rahn visits the Brandenburg Gate, it brings back memories of her personal story 50 years ago. On 13 August 1961 she has organised a Sunday outing. That morning Ursula and her friend meet in front of the Brandenburg Gate, planning to go for a cycle ride. In 2011, to mark the 50th anniversary of the Wall going up, the rbb interviewed Berliners to find out what the division of the city meant to them. The Wall had a profound impact on the way each person went about their daily lives - no matter what side they found themselves on. Overnight people were cut off from their friends and relatives, from their offices, factories and schools, and from places where they enjoyed spending their leisure time. The division of the city tore families apart, ruptured biographies and claimed many lives. The advancement of women is a growing priority in the GDR. The Action Committee on the Liberation of the Woman and anti-authoritarian kindergartens are founded in West Berlin. 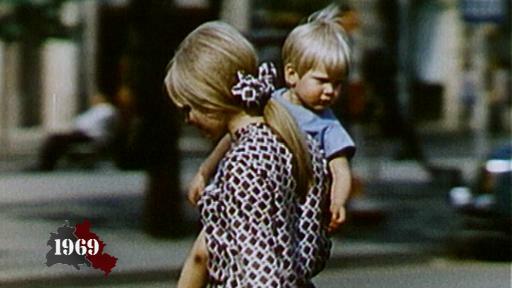 Film director Helke Sander recalls how she, too, needed a kindergarten place back then. She was still a student and made use of one of the new childcare facilities set up in empty shops. However, some of the committee's plans to promote women's lib and an anti-authoritarian approach to raising children fall by the wayside. The SEZ sports and leisure complex opens in Friedrichshain, East Berlin. It attracts 16 million visitors in the first five years alone. 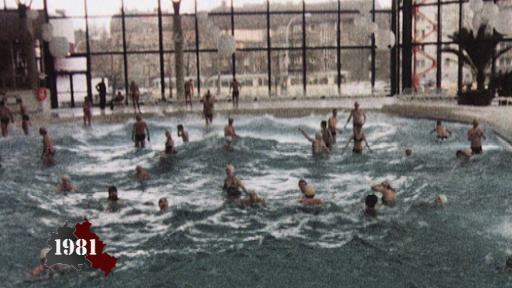 The complex, which had swimming pools, sports halls, an ice rink and several restaurants, was designed to welcome up to 22,000 visitors a day. Heide-Maria Heyde used to work there and recalls the long queues that were a daily sight outside the complex. West Germany has been buying political prisoners out of the GDR since 1962. In 1975, GDR citizens file 16,000 applications for exit visas - more than ever before. The same year, West Germany breaks its own record by spending more than 100 million Deutsche marks on freeing detainees. 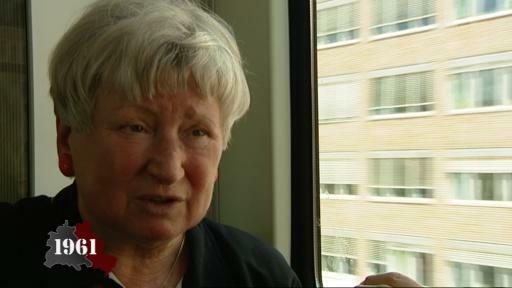 Although the GDR has signed the Helsinki Final Act, it is still putting people on trial for political reasons. 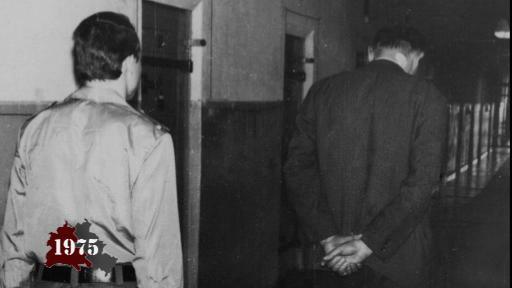 West Berlin lawyer Reymar von Wedel helps the prisoners on behalf of the protestant church. Lothar Kensbock ran a newspaper stand on Oberbaum Bridge in Kreuzberg. Up until 13 August 1961 he sold papers and puzzle books to commuters from the East, who smuggled them over the border on their way home after work. In 2011, to mark the 50th anniversary of the Wall going up, the rbb interviewed Berliners to find out what the division of the city meant to them. The Wall had a profound impact on the way each person went about their daily lives - no matter what side they found themselves on. Overnight people were cut off from their friends and relatives, from their offices, factories and schools, and from places where they enjoyed spending their leisure time. The division of the city tore families apart, ruptured biographies and claimed many lives. Cetin Mert was born on 11 May 1970. 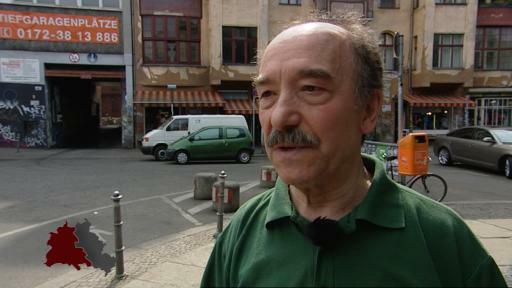 He lives with his Turkish parents and two brothers in the West Berlin district of Kreuzberg. The day of his fifth birthday is a sunny one. Cetin goes outside to play with a ball, but ends up falling into the river Spree. 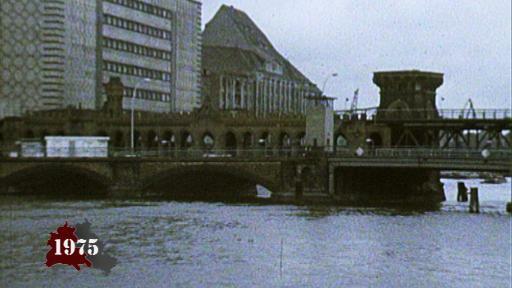 Rescuers arrive quickly, but they aren’t allowed to intervene because they are from West Berlin and this stretch of the river is under GDR control. All they can do is watch as Cetin drowns. He is the youngest person to die at the Wall.